Automatic Gates provide improved security, convenience and safety for any property including domestic and commercial applications. Whether you wish to automate existing gates or for the installation of new we are able to design a system to meet your requirements. At Mere (UK) all of our gates are bespoke and designed and manufactured for each individual entrance. The width, layout and gradient of your entrance can determine the best solution. Options include swing, sliding, bi-folding and bi-parting gates. Mere (UK) are approved installers of FAAC gate automation equipment in the north west area. FAAC are renowned as the world’s leaders in providing the finest gate automation systems with an impeccable reputation for quality and reliability. For more information about FAAC visit their website at www.faac.co.uk. 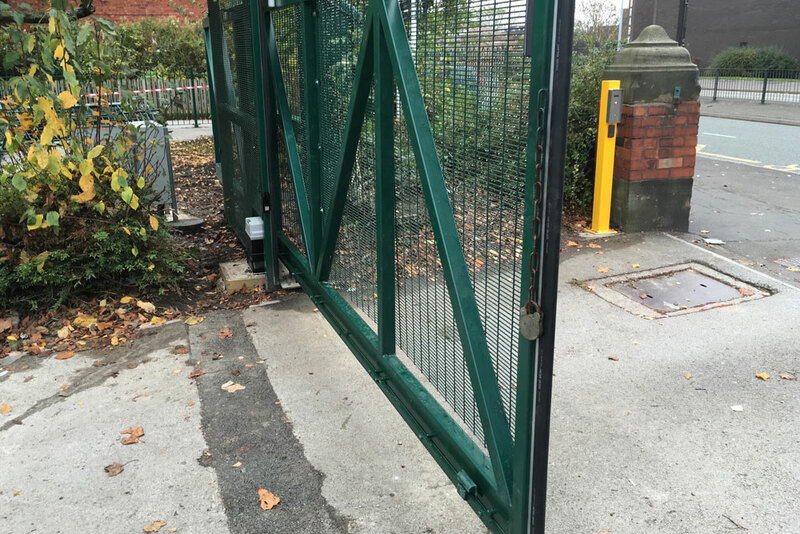 We are able to offer a wide range of automation systems to ensure your system is both reliable and suitable for all gate sizes, weights and duty cycles. Automation options include underground, above ground, hydraulic and electro mechanical available to operate on mains 230v or low voltage 24v electrical supplies having the adding benefit of battery back up. The varied range of control options include underground induction loops, access control integration (for more information please see our access control page). Features such as safety sensors/edges, hinge guards and many more can also be implemented to ensure the highest health and safety standards are met and protection is provided to both vehicles and pedestrians with a full risk assessment of the site done by our qualified risk assessor. Mere (UK) engineers are of a very high calibre and regularly attend training and safety courses run by all the major manufacturers to ensure that their technical knowledge is the most up to date available.